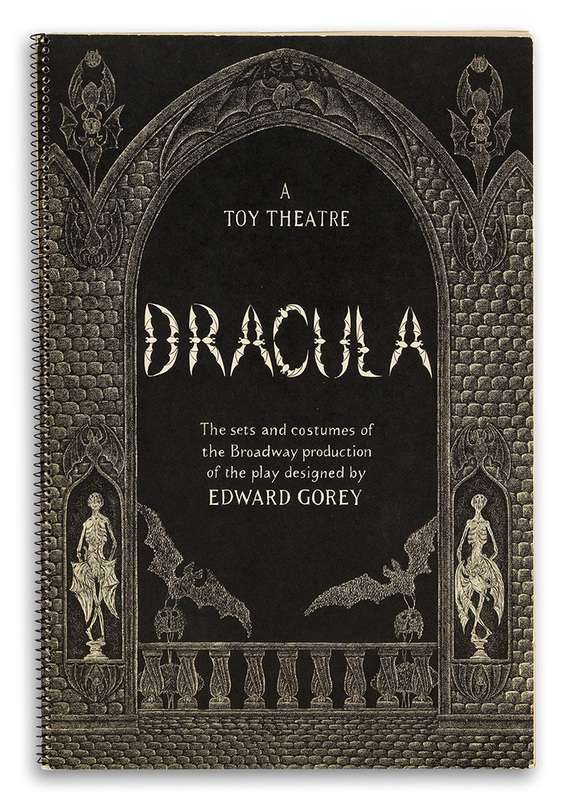 This lot from Swann Galleries consists of a book and several posters related to Edward Gorey's "Dracula" (1977). 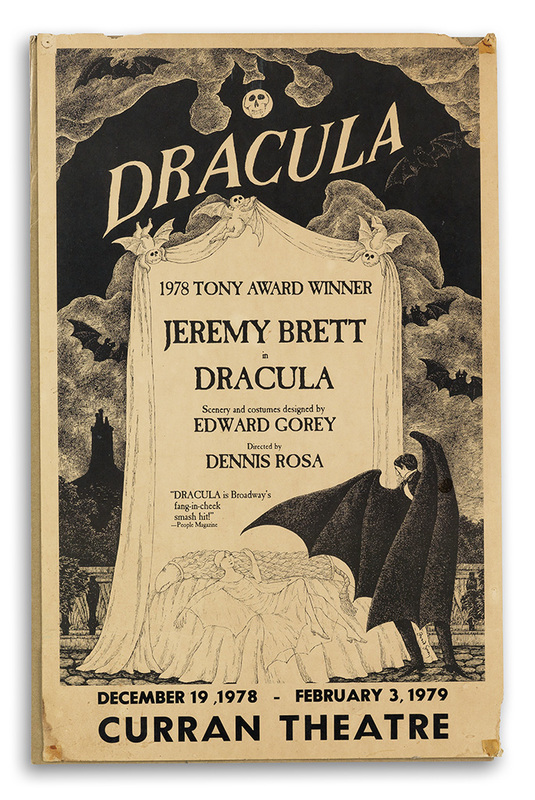 I was lucky enough to see Frank Langella in this atmospheric production which ran on Broadway at the Martin Beck Theatre in the late 1970's. 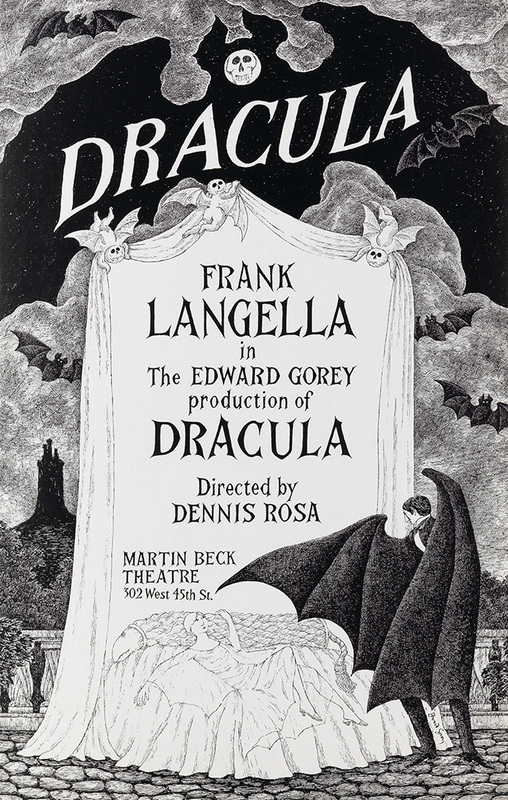 Note how in the theater posters the sky's dark negative space forms the silhouette of a vampire bat with the macabre full moon serving as the deathly face. 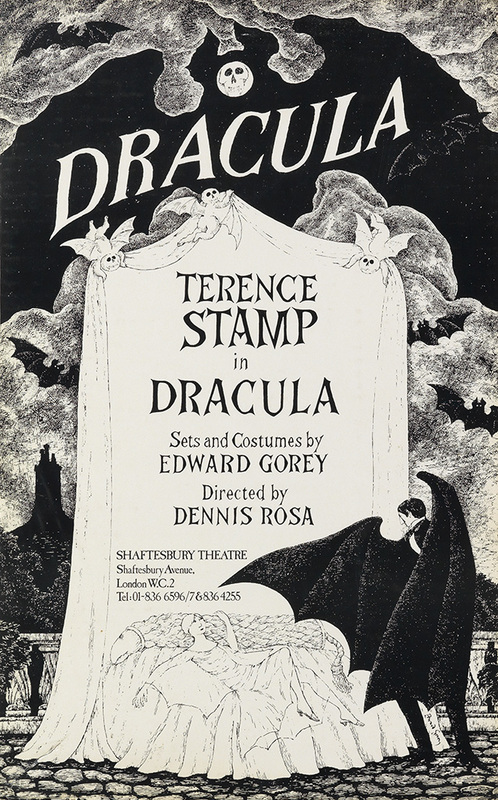 Note: Don't miss my other blog posts about Mr. Gorey's artwork. 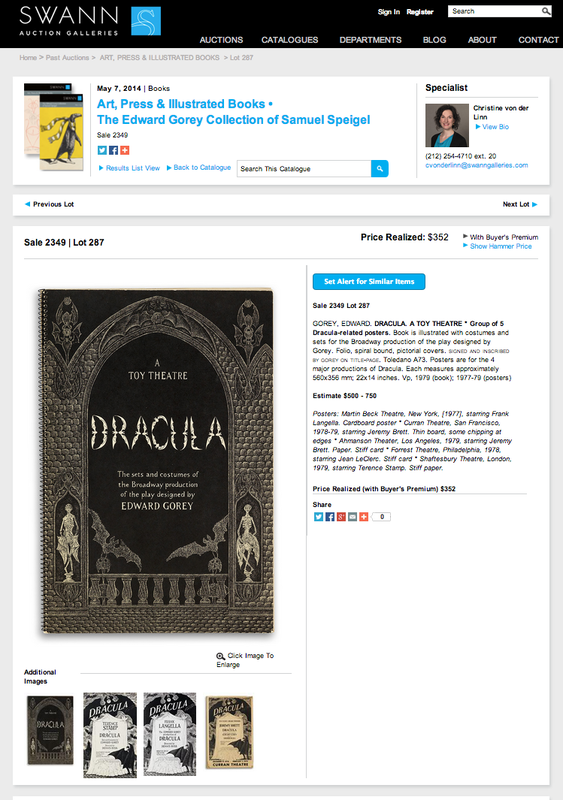 There is also quite a bit here about Broadway. 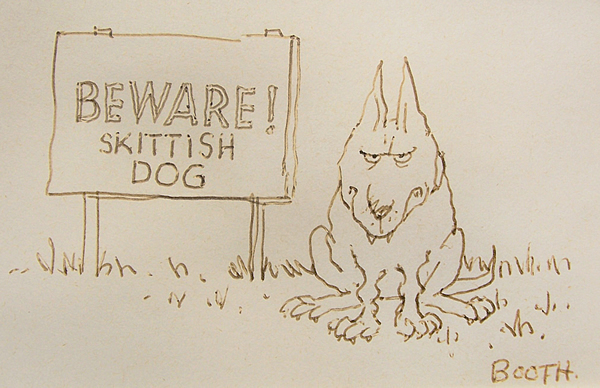 Elaine Stritch Sings "I'm Still Here"
Bernard Wiseman: Yankee Go Home? Clare Briggs: Mr. and Mrs.